The Maverick Volleyball Club starts our High Performance Program for females at the 15U age group. We would like to provide an information session to parents and athletes interested in the program for the 2013/2014 season. Who: Athletes born in 1999 or later (2000, 2001 etc.) and their parents interested in the High Performance Program for the 2013/2014 season. 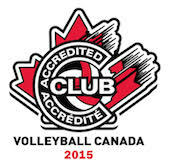 What is the Maverick Volleyball Club High Performance Program? What will be the details? What are the Club’s plans for the 2013/2014 season?